International Agency for Research on Cancer (WHO) and National Toxicology Program (US) are some of the regulatory bodies which provide guidelines of the list of substances which are known to be carcinogenic, based on scientific evidence. In India, Food Safety and Standards Authority of India (FSSAI) is one of the statutory bodies for laying down science based standards for food. IARC lists about 400+ substances as carcinogenic, probably or possibly carcinogenic. To maintain a state of complete physical, mental and social well-being human beings must live in harmony with the environment. Low immunity and cancer are often associated with environmental factors like water, air or soil pollution, poor housing conditions, presence of animal reservoirs and insect vectors. Human beings are responsible for causing environmental hazards through urbanisation, industrialisation, etc. In India, air pollution, unsafe drinking water, polluted soil, etc. contribute to the rise of environmental carcinogens. Substances or agents causing cancer are known as carcinogens. Environmental pollutants play an important role in carcinogens affecting the human body. Chemical carcinogens found in cigarette smoke, dietary contaminants like mycotoxin, aflatoxin B1, physical carcinogens like UV radiation, asbestos and radon are proven harmful carcinogens. 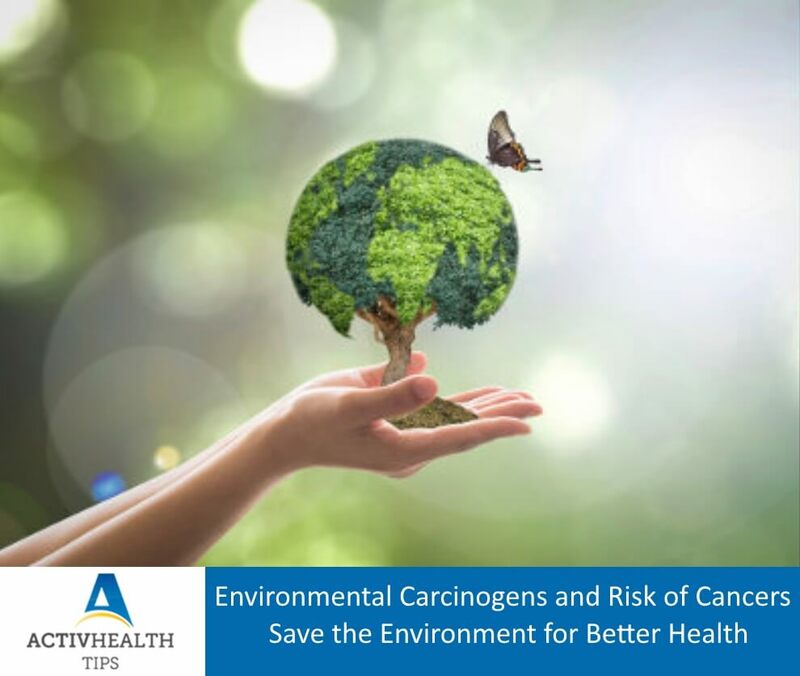 Other environmentally influenced carcinogens are pathogenic bacteria and viruses such as Helicobacter Pylori, human papillomavirus (HPV) and human hepatitis B and C virus (HBV / HCV). Lifestyle characteristics such as smoking, excessive exposure to sunlight, junk food consumption of spicy food, red meat, and stress etc. also lead to carcinogenesis. Environmental influences at the workplace include exposure to asbestos, staying near an industrial emission source, environmental tobacco smoke (ETS), inhaling polluted air, etc. Indoor environmental influences include hazardous air like tobacco smoke filled air, arsenic and drinking chlorinated water etc. DDT, endosulfan and certain other pesticides used in agriculture are known carcinogens which can affect human beings. Industrialisation has caused its own environmental carcinogenic influences. Industries using radium and other radioactive substances for painting of luminous dials on watches, manufacture of radioactive paints, etc. along with exposure to X –ray radiations may have a carcinogenic effect on people exposed to them if adequate precautions are not taken. Exposure to ultraviolet and infrared radiations occurs when people are exposed to welding, glass blowing or foundry work. These ionising radiations may lead to dermatitis, skin cancers, blood dyscrasia etc. It has now, therefore imperative that we spare a thought to the environment. Protecting it, decreasing environmental pollutants and taking ownership to clean hygienic practices would go a long way to reducing health hazards and enjoying good health.